"Do you know of anyone who'd be willing to trade me a 70" turnout sheet for a brand new 72" turnout sheet? Mary bought me one for my birthday and it's just a bit too big. Well, I take that back, it's not a bad fit lengthwise and would fit him if he wasn't shaped like a dachshund. Surely I'm not the only person in the world with this problem?" My trainer's response: "Um..." and laughter. So cute. Can't help with small blankets... since Hue is in 84's. You might try the online Facebook blanket group? I totally have the same problem! 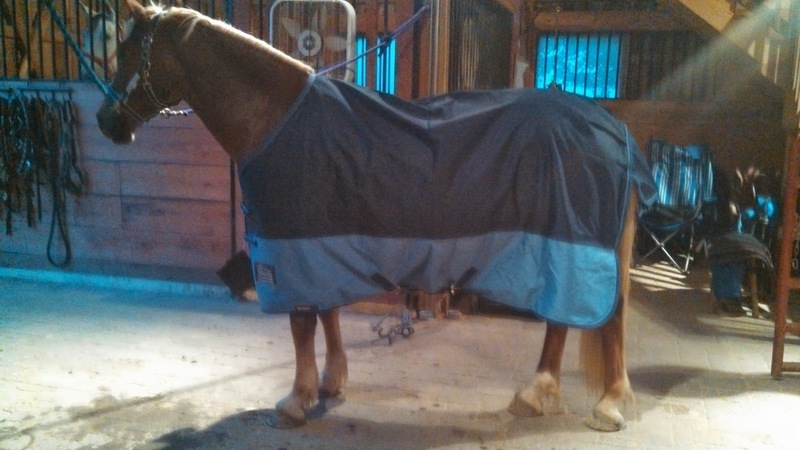 I feel like the blanket manufacturers are trying to do a good thing and make them "full coverage" but it really doesn't work with small horses. 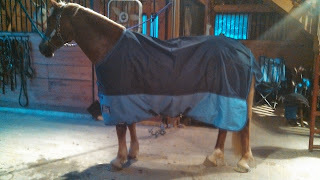 That's why I always love Saxon since their blankets are long rather than deep. Good luck with finding a trade! Totally adorable! 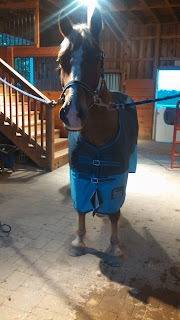 But I can see where fitting him could be a problem...should be Cob sized blankets. Haha! I have the same problem with Shy. I have the same issue with Roscoe and the opposite issue with some of the others, short back w/ broad shoulders. Both can be tough.